☠ FULL METAL FEST 2016. With: Crying Steel + Skanners + Rain + Danger Zone + Crisalide + Mad Agony + Forklift Elevator + Dominance + Fear Between Crowd + Detonation Boulevard. STAND GASTRONOMICI DI PRIMI E SECONDI – BIRRA D’IMPORTAZIONE – VINO LOCALE – GADGET/DISCOGRAFIA – PARK CON BUS NAVETTA. 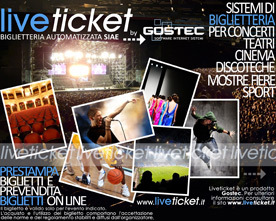 Midian Live Pub utilizza il Sistema d Biglietteria liveticket.